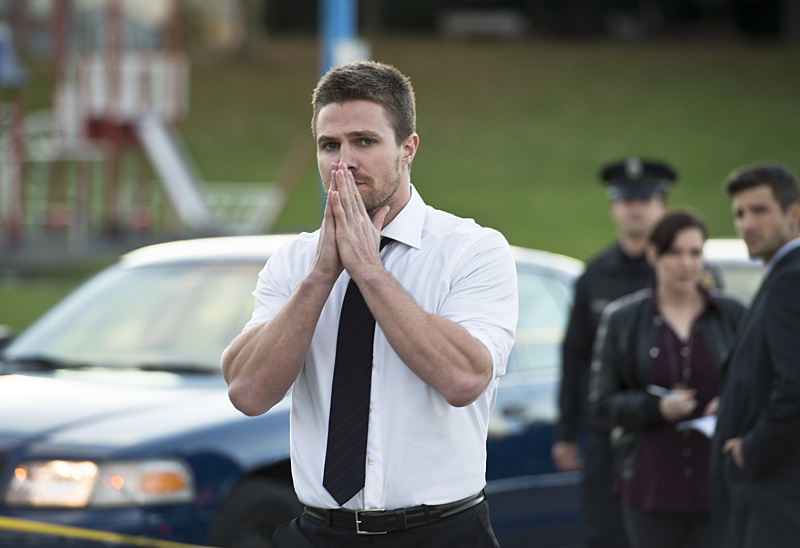 We all should've expected that the Arrow Season 4 midseason finale would be action packed and emotionally crippling. However, we probably weren't expecting for things to get quite so real after Star City was hit by a terrorist attack. We as human beings have faced such horrors on a global level in these last few weeks alone, between the attacks in Paris and then the shooting in San Bernardino, California, that you can imagine how this parallel scenario hit very close to home for many people watching. Even Oliver's speech to the press about rising up against this terrorist organization felt like he could've been speaking directly to us as a nation. Now I highly doubt that the series and the writers knew just how much this would resonate with viewers worldwide (the episode would've been filmed prior to the real-life attacks), but it perfectly encapsulated the fear and shock that is felt by all when something this horrifying goes down. But Oliver shared an important message: In the face of danger, people should band together as unit (or perhaps as a nation), which no enemy would be able to stand up against. United we stand, divided we fall. Of course, Team Arrow knew right away that Damien Darhk was the Big Bad to blame for this particular scenario. So he put a face and name to the villain once and for all. Obviously, this decision was not without consequences, but it was still inspiring to see these characters put the safety of the city above their own well-being, just like many brave people do in the face of real danger. There may be a lot of elements of Arrow that would never happen in real life (like arrow-wielding vigilantes, for starters), but this is one storyline that packed a very real and emotional punch.